We are committed to providing only the highest quality of professional care for all our patients. 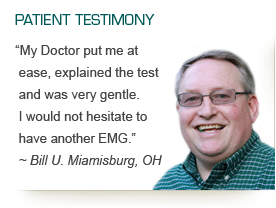 To ensure this quality, every exam is performed entirely by one of our board certified physicians. In order to schedule an appointment with our office a physician referral is necessary. We look forward to meeting you.